Ruth Behar views cultural anthropology as a humanistic pursuit whose purpose is to express the poetry of people’s lives and has shared this vision with many outstanding students throughout her years as a professor of anthropology at the University of Michigan. It has been a pleasure to be part of their professional growth. And, as they have learned from her, she has learned much from her students, who come from a wide range of backgrounds and places to study with her. Ruth has received several teaching awards at the University of Michigan, including the Circle Award from La Celebración Latina, the D’Arms Faculty Award for Distinguished Graduate Mentoring in the Humanities, and the Excellence in Education Award. 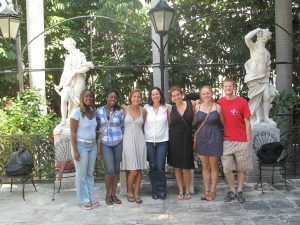 Her courses on Cuba, the concept of home, ethnographic writing, and blurred genres regularly receive positive reviews from students, many of whom say her class was their favorite at Michigan. She has taught at the University of Miami as the Henry King Stanford Distinguished Professor in the Humanities. She has offered workshops in creative writing at the Macondo Writers Workshop in San Antonio, Texas and at the Creative Writing Lab on the Border in Tijuana, Mexico. She frequently teaches intensive seminars on ethnographic writing at the annual meeting of the American Anthropological Association. A fluent Spanish speaker and writer, she has taught courses on new trends in cultural anthropology at the Fundación Fernando Ortiz in Havana, Cuba and at the Universidad de Buenos Aires. Many of her doctoral students seek ways to balance a passion for anthropology and the arts, as she has tried to do in her life and work. She also works with students who are pursuing activist forms of research, as well as students focused on creative writing and the visual arts. Students she has mentored have gone on to become extraordinary creative thinkers. Ruth is very proud of them and looks forward to witnessing the unfolding promise of her current students. Below is a partial list of students who have studied with Ruth in the past or are studying with her currently. If you want to add your name, let Ruth know! Author of Say You’re One of Them, 2008. Author of Remembering Angola: Cuban Internationalism, Transnational Spaces, and the Politics of Memories, doctoral dissertation, 2011. Associate Professor of Clinical Legal Education, University of Miami. 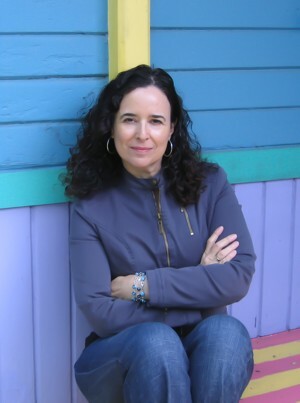 Author of Cuban Jewish Journeys: Searching for Identity, Home and History in Miami, 2000. Doctoral candidate in Anthropology, researching Argentina. Assistant Professor of English Education, St. Louis University. Associate Professor of American Studies, University of Minnesota. Author of A Return to Servitude: Maya Migration and the Tourist Trade in Cancún, 2101. Assistant Professor of African and African American Studies, Fordham University. Journalist, filmmaker, and doctoral candidate in Anthropology, researching celebrity culture in Los Angeles. Assistant Professor of Media Art, Antioch College. Wrestler and filmmaker, focusing on Lucha Libre in Mexico. Assistant Professor of Anthropology, University of South Carolina. Assistant Professor of Critical Studies, California College of the Arts. Author of Kids on YouTube: Technical Identities and Digital Literacies. Assistant Professor of American Studies, Religious Studies, and Ethnicity Race, and Migration, Yale University. Doctoral candidate in Anthropology, researching Ecuador. Writer-producer and poet in New York. Doctoral candidate in Anthropology and Judaic Studies. Canada Research Chair in Post-Conflict Memory, Ethnography, and Museology, Concordia University. Author of Jewish Poland Revisited: Heritage Tourism in Unquiet Places, 2013. MFA in Fiction at the University of Michigan. Author of Paradise Hunger, poetry chapbook, 2012. Professor, Graduate School of Public Health, University of Puerto Rico. Author of Gendered Scenarios of Revolution: Making New Men and New Women in Nicaragua, 1975-2000. Assistant Professor of Africana Studies, Dickinson College. Associate Professor of Anthropology, University of Illinois at Urbana-Champaign. Author of El Salvador in the Aftermath of Peace: Crime, Uncertainty and the Transition to Democracy, 2010. Associate Professor, Feminist Studies Department, University of California, Santa Cruz. Author of Queen for a Day: Transformistas, Beauty Queens, and the Performance of Femininity in Venezuela, 2014. Master of Public Health, researching Ethiopia. Doctoral candidate in Anthropology/History, researching Mexico. Visual artist and Postdoctoral Research Associate, Center for Public Humanities, Brown University. Postdoctoral Research Associate, Jackman Humanities Institute, University of Toronto. Associate Professor of Anthropology, Wesleyan University. Author of Downtown Ladies: Informal Commercial Importers, A Haitian Anthropologist and Self-Making in Jamaica, 2008. Associate Professor, Division of Humanities and Communication, Cal State Monterey Bay. Author of Carlos Aldama’s Life in Batá: Cuba, Diaspora, and the Drum, 2012. Director, Civic Engagement Project, University of Michigan-Dearborn.